Provide comfort for the family of Richard Maddox with a meaningful gesture of sympathy. Richard “Bear” Maddox, 71, of Gulf Breeze, passed away on December 2, 2018. Bear was born on December 5, 1946 to his parents Mitchell and Mary Seale in Birmingham, Alabama. From the time Bear was born until his passing he was known as a loving son, husband, father, brother, uncle and friend to all. He brought joy to the lives of everyone he came in contact with. Bear never met a stranger! As a child he enjoyed spending time with friends and his siblings. As Bear became older, he enjoyed riding motorcycles, fishing with his best friends John and Tony and shooting the breeze with Victor. On most days Bear could be found hanging out at the pawn shop with his friend Miles looking and talking about guns. Most of all he was a proud husband (on January 5th, 1974, Richard married the love of his life Jenny), father of a beautiful daughter, handsome son, and a grandfather to four wonderful grandkids whom he loved whole heartedly. Bear was the kindest most compassionate person you could ever hope to call a friend. Bear was preceded in death by his grandfather Albert Speed, grandmother Myrtle Speed, father Mitchell Seale and mother Mary Seale. He is survived by his wife of 44 years, Jenny Maddox; daughter, Rachael Lee Maddox; son, Richard Lee (Dawn) Maddox Jr.; grandchildren, Jacob Maddox, Taylor White, Riley White, Kaine White; brother, Jackie Seale; sisters, Carolyn Gleba and Susan Seale and a host of relatives and friends. A good friend said there is now a big hole in the world that was once filled by Bear. He will be missed by many. Visitation will be from 1:00 – 3:00pm, Saturday, December 8, 2018 at Trahan Family Funeral Home. At Bears request, all guests are asked to attend this celebration of life in "casual attire". To send flowers in memory of Richard Lee "Bear" Maddox, please visit our Heartfelt Sympathies Store. Radiation Products Design Inc. sent flowers to the family of Richard Lee "Bear" Maddox. 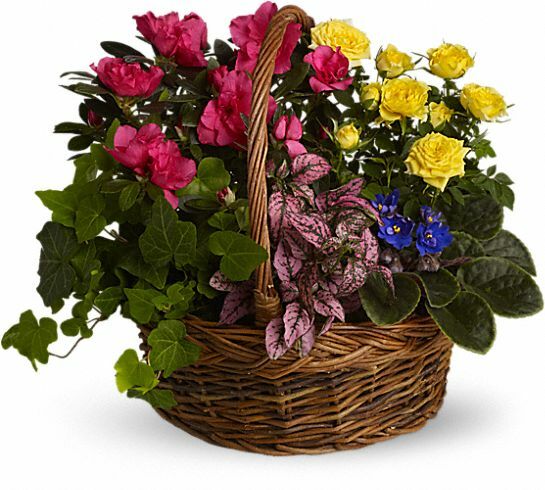 Radiation Products Design Inc. purchased the Blooming Garden Basket for the family of Richard Maddox.